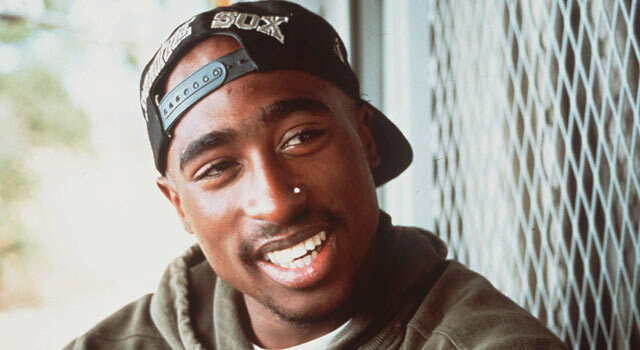 Published: April 16, 2012 at 02:21 p.m.
By now we've all seen the Tupac hologram, which rocked the stage at the Coachella Music Festival on Sunday night (here's the video). And now we have our leader in the clubhouse for Super Bowl XLVII halftime show. I ask you, how would it be different from Madonna lip-synching her way through the show? The initial reviews of Tupac have ranged everywhere from super cool, to disturbing, with most people falling somewhere in the middle. But I believe we've just reached the tip of what these holograms could be used for. In fact, we're only a few years away from ending debates for the greatest of all time; because in the future, they will be decided by holograms. Or better yet, this might be the perfect answer for the Pro Bowl conundrum -- current NFL All-stars vs. all-time greats as holograms. Seriously, who wouldn't watch that? With that in mind, I've decided to resurrect six players to start my all-time hologram team. The Packers started a run of NFC Central titles with the free-agent acquisition of White, who stabilized Green Bay's defense. So my first move for my hologram team will be to have White anchor the defense. Some say Hutson is the greatest receiver of all time. All right, I'm the one who says Hutson is the greatest of all time. But look at the numbers, nobody dominated the competition like Hutson did. And his hologram will do the same thing. He plays defense, too. Many defenders during Payton's career probably thought tackling the real thing was just as futile as trying to take down a hologram. As a bonus, I'm going to bring in Bronko Nagurski as the fullback to make an unbelievable backfield. The first real dilemma of this exercise is to decide between Unitas and Browns signal-caller Otto Graham. The later is one of most winning quarterbacks in NFL history, but Unitas is regarded by some as the greatest of all time, and it's hard to argue. So Unitas it is, complete with hologram black high tops. Another huge conundrum here, because Vince Lombardi would be a great choice. But I'm going to go with Brown here, along with his most famed offensive coordinator -- Bill Walsh. Talk about it via Twitter or via Facebook. Also be sure to catch the latest on the Dave Dameshek Football Program. "Ultimate NFL road trip for 2012..."